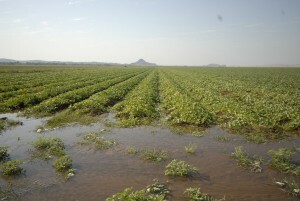 We grow chickpeas during the dry season planting from April to mid May. Chickpeas perform better when flowering during the coolest part of the season and are harvested from August to October. In Ord Valley we produce a larger size chickpeas with a whiter appearance. All chickpeas grown in the valley are delivered, stored, cleaned, graded and packaged by Ordco (the local co-operative). Chickpeas are high in protein, iron and low in fat. 1kg bags can be purchase from our farm cafe. Check out our recipe page for delicious recipes.